Subtlety is key, at least that’s what they tell me. I certainly have no concept of subtlety, but the best bartenders do. The Lavender Moon blends Plymouth Gin, Créme de Violette, a few dashes of Lavender bitters and a touch of cava for just the right amount of sparkle and tranquility. Serenity now. Kittens are great. Awards are even better. This cocktail didn’t pick up any kitties, but it has taken home some Tales of the Cocktail glory. 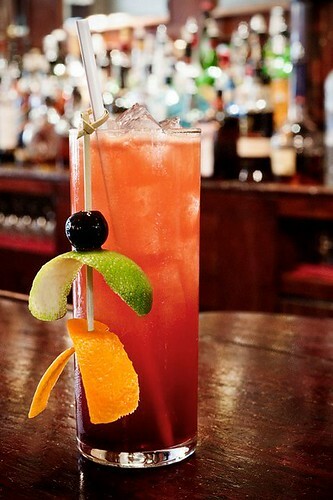 This sophisticated tiki tipple is composed of Appleton Estate Extra 12-Year-Old rum, Rhum Clement, VSOP rum, Trader Tiki’s Orgeat Syrup for sweetness, Fee Brothers Falernum and Absinthe for intrigue, fresh lime and lemon juices and topped with grenadine and Cruzan Blackstrap rum. Mee-yow! Check this! Spice and citrus collide with the Buddha’s Hand Infused Tequila, Vida Mezcal, St. Germain Elderflower, lemon, Rose Geranium syrup, and a habanero tincture. At this point, you might be thinking to yourself, “Ok bro, I’m into it, but what’s that little, floaty guy on the top of that tiny cake server?” Well my friend, just think of it as taking the red pill instead of the blue one, and down into the rabbit hole you go. This drink doesn’t actually exist… at least, not until you order it. 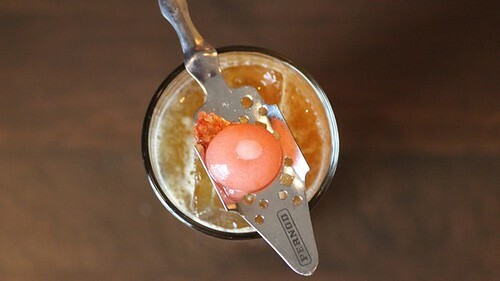 The bar program at BIG has firmly withheld offering a cocktail menu and instead rely on their talented and booze-savvy bartenders to create custom cocktails for each patron on the fly. Make no mistake about it, at BIG, they live up to their namesake and with this policy they identify the purest expression of the bartender/imbiber relationship. Other BIG policies include; smiling at others, keeping mobile phone usage to a minimum (sorry Instagram), and embodying the class and authority of BIG, a place where “Jollity and merriment are welcome. Horseplay and jackassery are not.” Be BIG. Have you snapped a pic of any intriguing drinks lately? 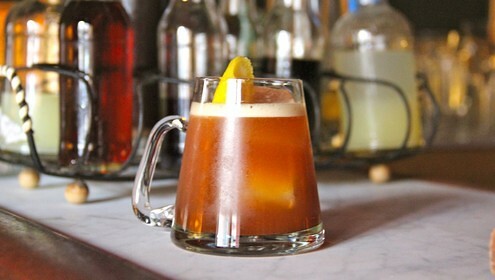 Show us your cocktail hunting skills on our Facebook page. Oh man, that Lavender Moon cocktail looks fantastic! The lavender Moon cocktail was fantastic! And so beautiful too! The yellow and muted purple colors were unique and visually stunning! 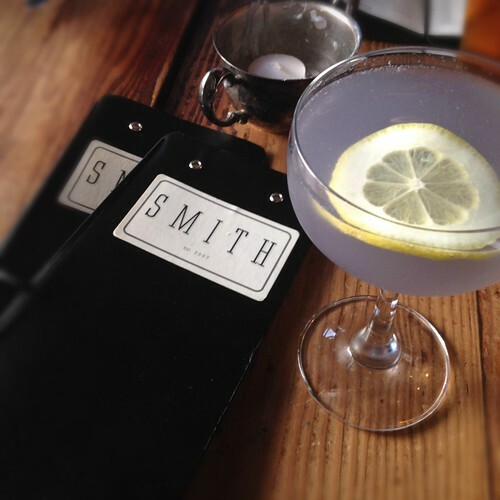 I will def be returning to Smith shortly for more Sophisticant, and Lavender Moon cocktails. And for their mouth-watering burger with sweet potato fries!